Look at the bigger picture and see how good your marketing is at generating traffic, converting that traffic to Contacts, then nurturing them to customers. 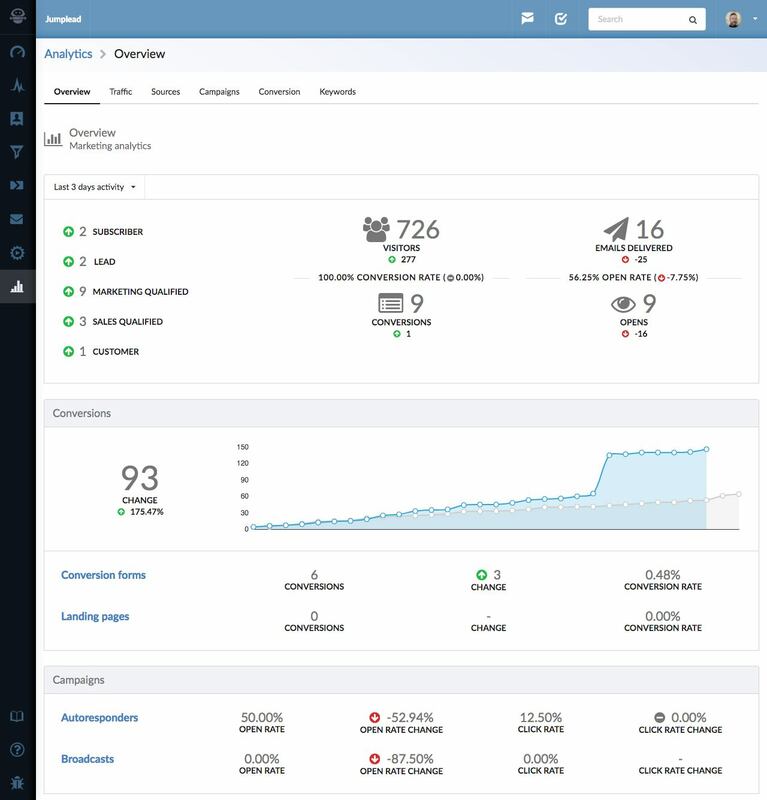 Track changes in your sales stages to see how leads are moving through your sales funnel, along with aggregated statistics for conversion forms and email nurturing. Track your visitor numbers including which campaigns and sources bring them to your website, then see which leads came from which campaign or source. Measure your conversion rate to understand whether your marketing is improving over time. The main analytics page gives you an overview of your sales funnel activity, showing how many contacts you have in each stage as well as the change over the last 3, 7 or 30 day time period. There is an aggregate view of the change in the number of submissions for your conversion forms and landing pages. For your autoresponder campaigns and broadcast campaigns you will see aggregated open rates, click rates as well as the change against the previous time period. Keep an eye on the traffic levels your website is generating with the main sources of traffic, online campaigns and search engine results positions. Drill down to see which leads came from which source or campaign.